China Caster Manufacturer - Wuyi Feiyang Industrial & Trade Co, Ltd. welcome you! Established in 1985, Wuyi Feiyang Industrial & Trade Co, Ltd. is covering an area of 15,000 square meters and have a convenient transportation. We are a leading manufacturer specializing in caster & caster wheel products with 20 years of experience in the industry in China. 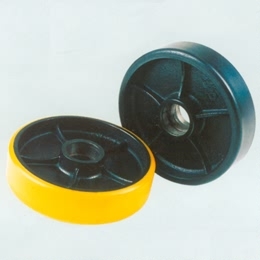 We specia-lize in the production of a wide range of caster & caster wheel, including pu caster, pulley, rubber tyre wheel, nylon caster wheel, caster for electric forklift, caster wheel for stacker, caster for hand truck, scooter pu wheel, small size pu wheel, universal caster, caster complete set for hand truck or elec. We also produce handtruck. OEM and made to order upon customers' specifications are welcome. We will service you good price with the good casters.